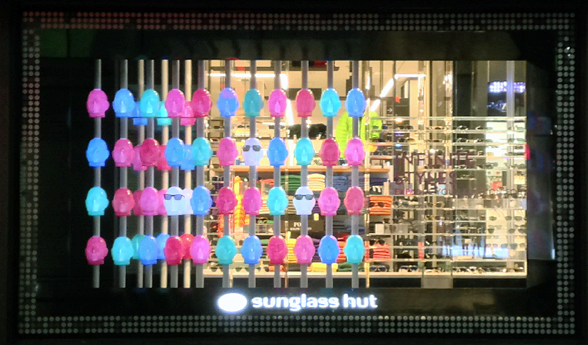 Sunglass Hut: Get a Head — Geoff Howell Studio Inc.
For Sunglass Hut, at the Macy's Herald Square location. 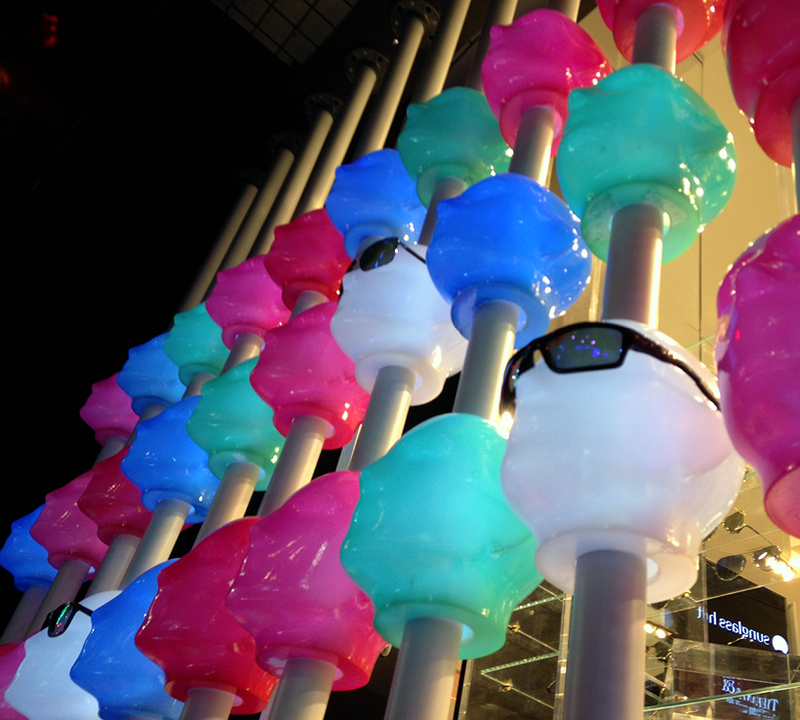 we recently installed a more sculptural, "pop-art" installation made of multicolored, inner-lit heads to highlight any kind of eye-wear that may be used on the heads. The result is cheerful and candy-licious!